If you are going to bed without removing your makeup– you need to rethink your skin care routine. Sleeping with your makeup on can trigger a handful of complications, like infections, irritated eyes, clogged pores and even acne. It can also expose you to a lot of free radicals that can speed up the aging process. To make sure these things don’t happen to you, investing in the best eye makeup remover is a necessity. And to narrow down your options, we decided to review the top performing brands when it comes to getting rid of makeup. The following products are set to upgrade your beauty routine. 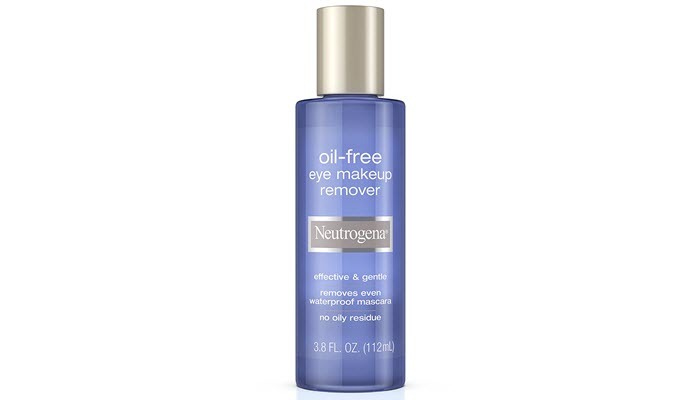 For the best eye makeup remover, Neutrogena Oil-Free Liquid Eye Makeup Remover is your best option. It has aloe vera and cucumber extracts that leave a refreshing feeling on the skin. What’s nice about this product is that it’s also oil-free so you won’t have to worry about feeling greasy or any residue after use. This makeup remover works well even with waterproof products. Since it helps gently and effectively remove eye makeup, there are fewer chances that you’ll tug and pull your skin during the process. These things can hasten wrinkle formation that you might need to invest in a good anti-aging cream to make them less noticeable. Not only is this product effective in doing its job, it’s also safe to use. If you have sensitive eyes or you wear contact lenses, this is the makeup remover for you. 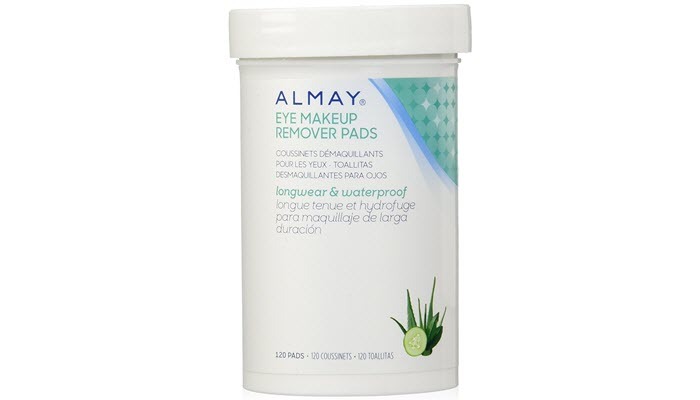 For days you feel too lazy to go through the tedious process of makeup removal, your next best option is Almay Longwear & Waterproof Eye Makeup Remover Pads. Each pad is fragrance-free and non-irritating so there are minimal chances that you’ll end up getting red and irritated eyes after. Plus, it’s dermatologist-tested, too. Despite the gentleness of the product, you shouldn’t doubt its effectiveness. In fact, it works well in removing tough waterproof and long-wearing eye makeups. The pads come in this white jar with a screw-on lid. It’s handy, especially when you are traveling. 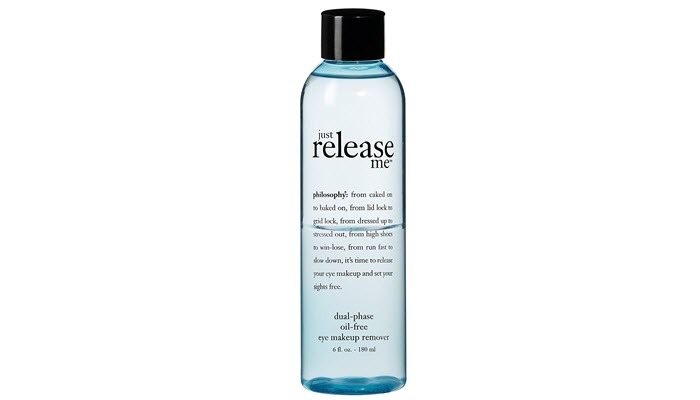 Another great option for getting rid of cosmetics is Philosophy Just Release Me Eye Makeup Remover. It’s oil-free so you won’t have to deal with any greasy residue on your skin. 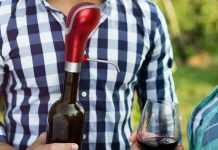 It comes in a transparent blue bottle with a screw-on cap. It’s not spill-proof but its opening isn’t that big. Keep in mind that it needs to be shaken before you pour the product out. Apart from working well in removing all types of makeup, it’s also fragrance-free and infused with skin soothing ingredients. This includes chamomile, natural aloe, and cucumber extracts. The combination of these ingredients makes the product feel extra refreshing on the skin. Considering its price, the amount of product and performance, this one is such a good steal. 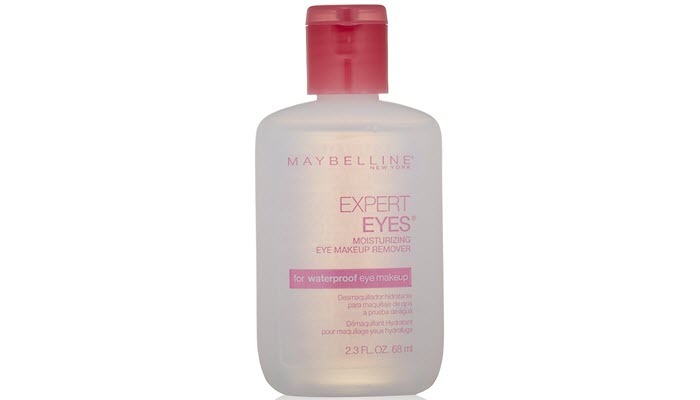 For those who are on a tight budget, try Maybelline New York Expert Eyes Moisturizing Eye Makeup Remover. Despite its affordable price, it’s actually one of the gentlest and most effective options around. It’s formulated without fragrance so it’s a good option for those who have sensitivity issues. Plus, it’s moisturizing, too. The product comes in a white translucent bottle. This is actually nice since you won’t have to keep guessing how much product you have left. Apart from that, it’s small enough to fit your makeup kit. It’s great for traveling. Its cap is a flip open one and its hole isn’t too small or too big. It has a runny consistency that makes it effective in dissolving makeup. Although it’s important that you remove your makeup, you still shouldn’t overdo it. Instead of putting too much effort in the process, find the best eye makeup remover to get the job done. Keep in mind that waterproof mascaras and eyeliners won’t budge with regular cleansers, even if you rub hard. The only thing rubbing can do is irritate your skin and trigger premature signs of skin aging. Not cleansing after removing makeup. To make sure you don’t compromise your eyes, always cleanse your face after removing your makeup. 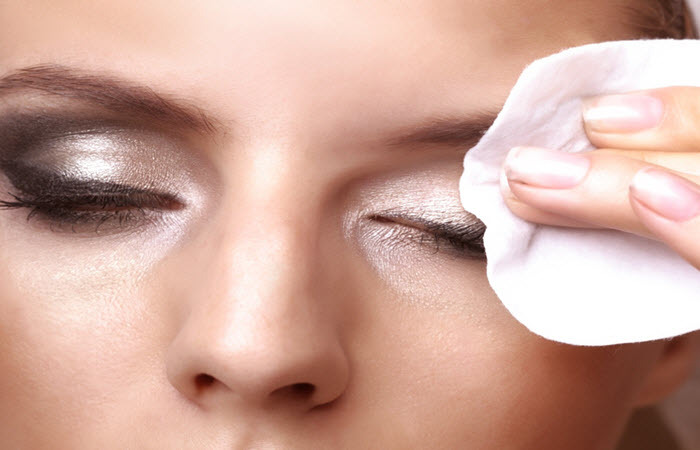 Although there are eye makeup removers that require no rinsing, stay on the safe side and cleanse anyway. This is to make sure no product gets in contact with your eyes. Using the same side of the cotton pad over and over. 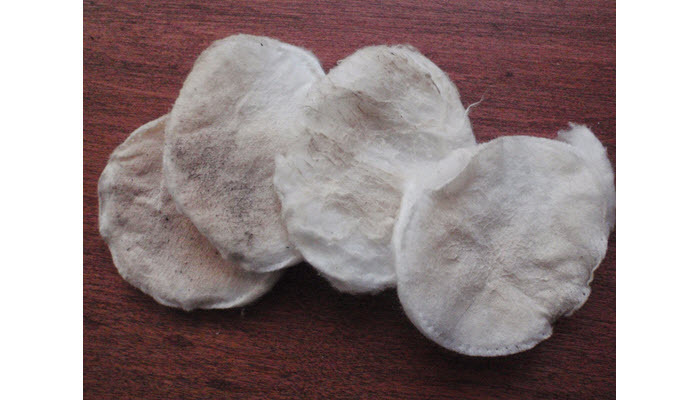 Swiping a dirty cotton ball back and forth only puts your eyes at more risk of infection since you are just redepositing the makeup you’ve just removed. Instead of using just one side, flip the cotton pad and fold the clean side in half. Use the first half to remove the remaining makeup and the other half to pick up any remaining pigments. Your eye makeup doesn’t end with your eyeshadows and mascaras. Your brows are part of it, too. Use a water-based and oil-based eye makeup remover to take off your eyebrow pencil or any eyebrow product, especially if it is wax-based. Such product can cling to the hair strands of your eyebrows which make it practically hard to remove by just cleansers alone. If you are using a waterproof makeup, make sure you are using an oil-based makeup remover. Water-based makeup remover don’t have the right ingredients and formula to break down waterproof makeup products.